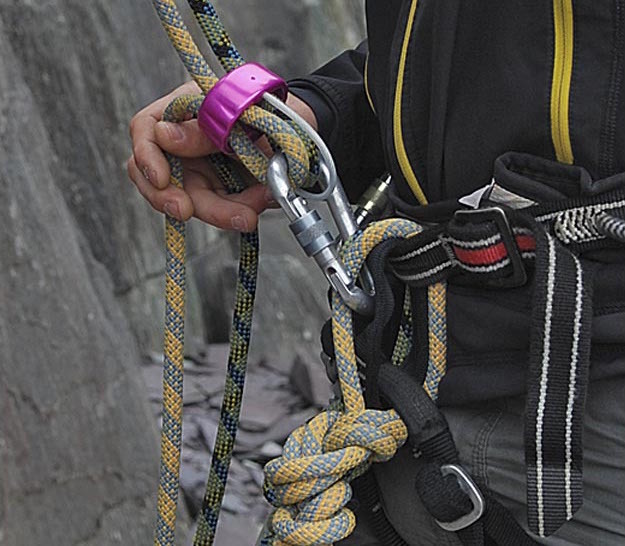 Many climbers choose to use double or half ropes when trad or multi pitched sport climbing. However the whole single versus double ropes is not necessarily that simple. can retreat the whole length of the rope as you have two of them. Belaying with double rope takes a lot more skill, as effectively you can be taking in on one rope and paying out on the other and vice versa. 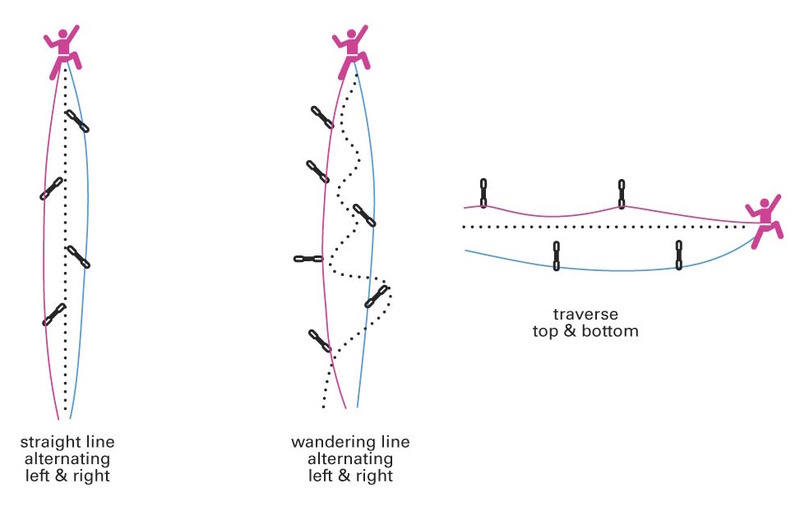 As such getting sed to belaying on double ropes will take time and most importantly practice. 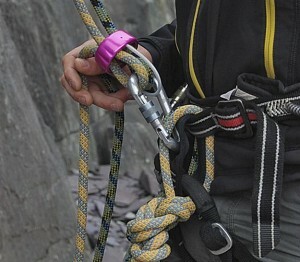 How the grip the dead rope when double rope belay. Note the split at the ring and middle finger. 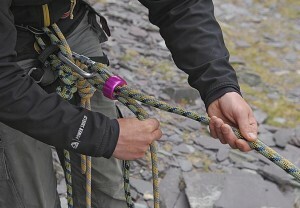 At the base of the crag or at home have a practice using double ropes by attaching the belay device to both ropes and having a friend randomly ask for slack or to take on both ropes, as well as individual ropes. once you have the basic then start making it more complex, so to test you ability. The key is throughout the whole exercise to never let go of the dead rope. Can you pay out with one rope and then take in with the other only to reverse the whole thing in a moment? 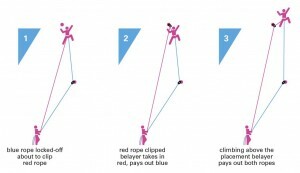 Once you have master this try using double ropes for real, but on a climb that is really easy for everyone, bit leader and second who is belaying. 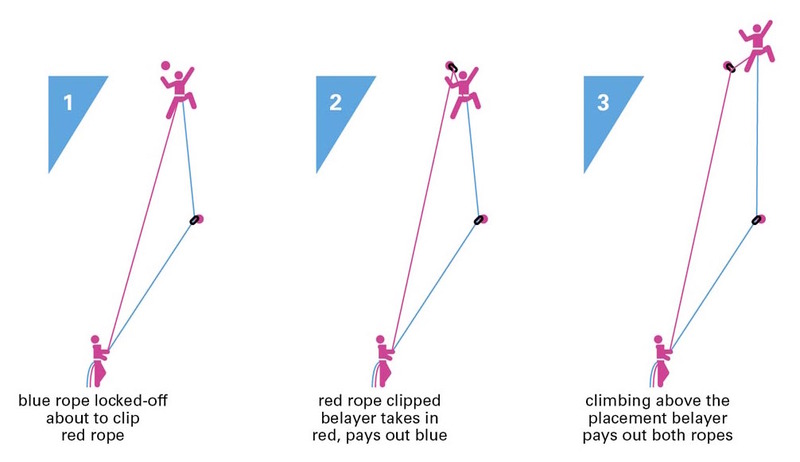 As this is about both leader and belayer coming to terms with the extra rope. 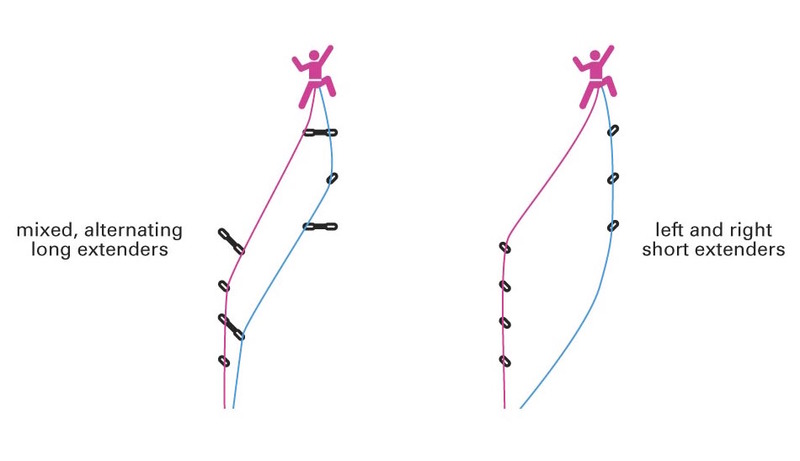 Why we need to be able to pay out with one rope and take in with the other whilst belaying with double ropes. When you are leading with double ropes there instantly become many different ways you can use them. As do you keep one for the left and the other for the right or do you mix it up? Often it is hard to tell what is best unless you look at the route and make a plan to manage the ropes before you leave the ground. You can also ask the belayer for advice as they can sometimes see the bigger picture. Two ways to use double ropes when climbing. Both work and help reduce rope drag. Other ways to use double ropes to most effect. 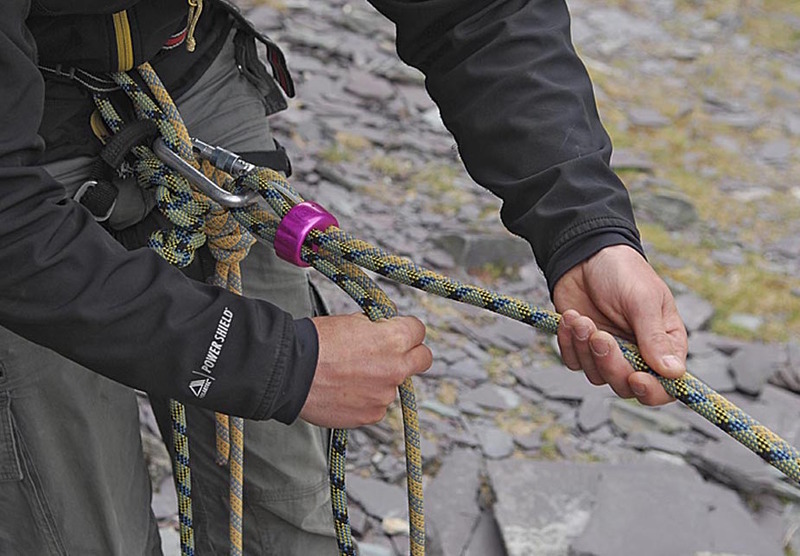 Left – alternating the rope should make any fall less. Middle – A wander route can have left and right runners as it meanders. 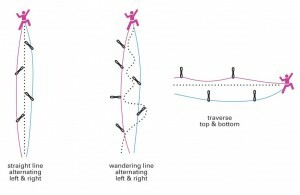 Right – When traverse it is often better to have a top and bottom rope to help reduce rope drag.